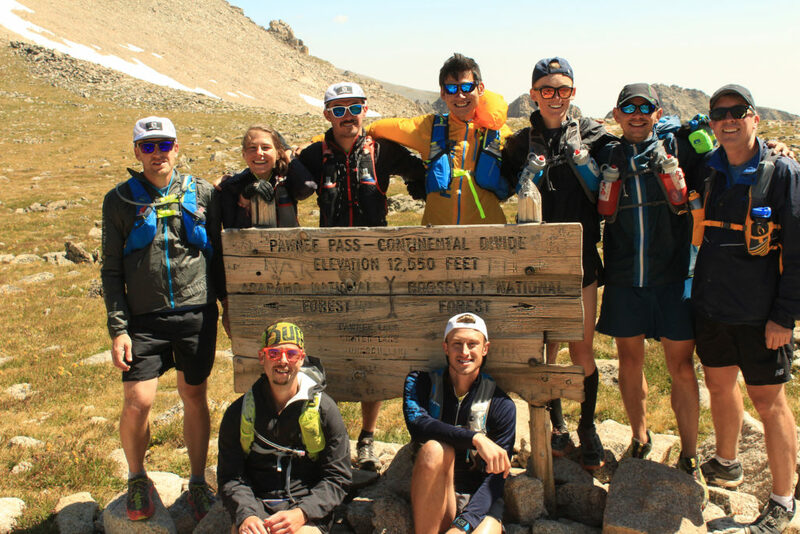 The goal of this camp will be for each participant to leave feeling that they have become stronger runners and developed a renewed spirit for adventure that only a weekend of exploring in the mountains can bring. Our camp will give you the opportunity to improve your fitness training in a high-altitude environment, and allow you to develop a range of mountain running skills with guidance from our professional staff of coaches and elite mountain runners. 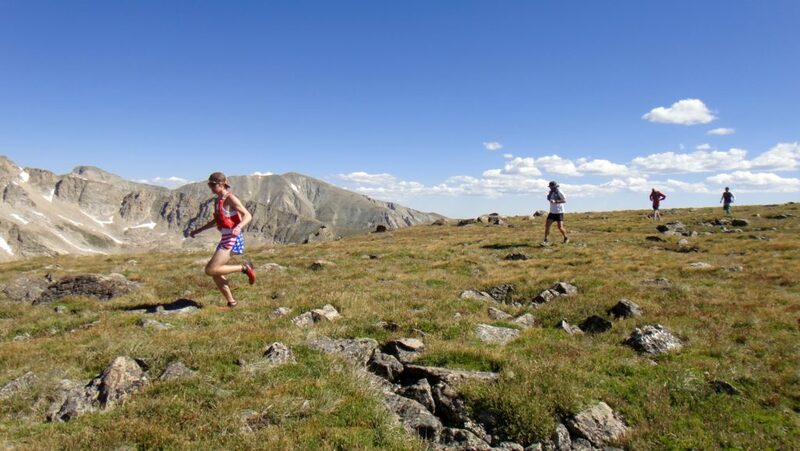 This is a camp designed for experienced trail runners who are in shape upon arrival, but can be adapted to beginner trail runners with a strong fitness base. 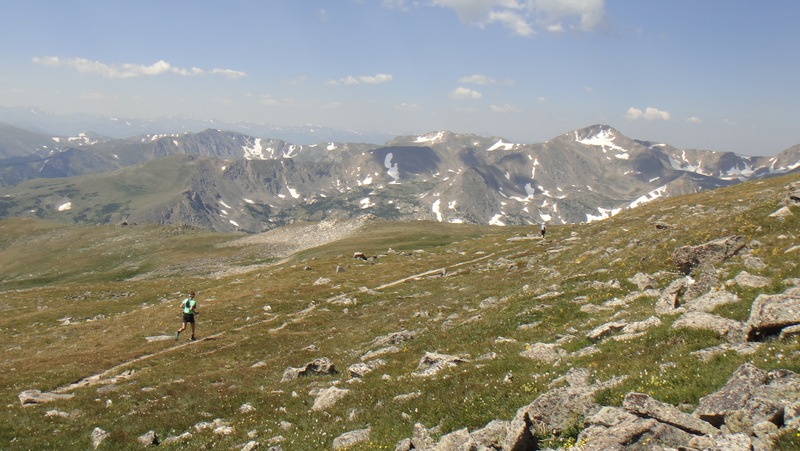 To get the most out of your time at camp, it is recommended that you feel confident that you can run/hike up to 12 hours with upwards of 10,000 ft. of vertical gain/loss over the 3 days. It is however not necessary to be a top level runner. We will not be in a hurry when out on runs. Much of this running will be very slow, hiking up the steeper trails into the mountains, and running leisurely along ridges. It is unlikely that we will be doing much more than 40 miles of running in the 3 days, and participants will always have the option of taking days off, or running shorter distances. 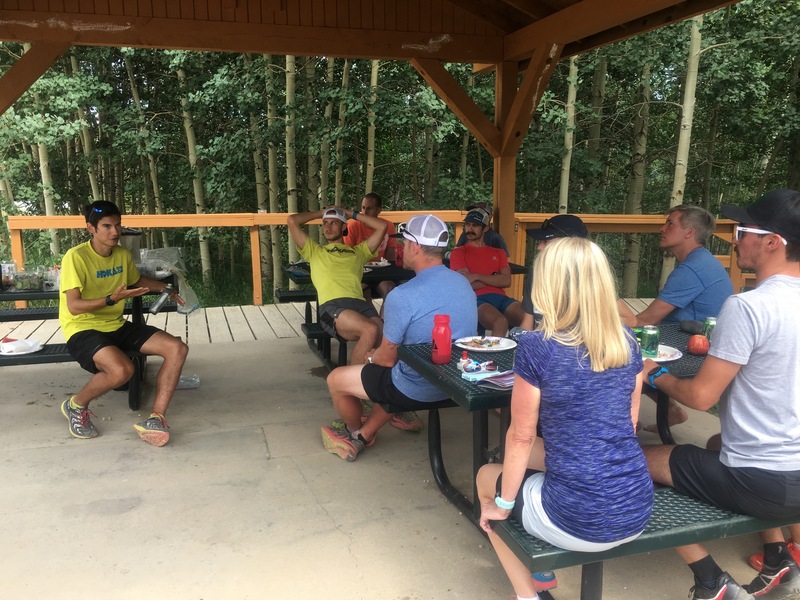 All guided mountain runs will be led by local runners who know the trails, so any participants who want to do a shorter (or longer) run will generally have that option without being left on their own. Athletes enjoying the view around an Alpine Lake. Camp begins at 3pm on Thursday, and ends at 3pm on Sunday. Please plan your travel to Boulder, Colorado accordingly. Training Talk with Pro M.U.T. Runner, Sage Canaday, in 2016. To Register: Simply click on the “Register” button and complete our entry form. Registration will be online only through our friends at Ultra Signup. It will remain open until July 15, 2019, or until camp is sold out, whichever comes first. Payments: You will have the option of paying online by credit card through Ultra Signup’s secure payment page. This camp will be limited to 12 participants. Any entries received after a session is filled will go onto a wait list in the order that they are received. Individuals on the wait list will be given the option (in the order that entries were received) to join the camp if anyone cancels. I will notify you via email if you are on the wait list and a space becomes available to you. If you are offered a space, you will have two days to register. If you do not register within the two day deadline, then the spot will be offered to the next participant on the waitlist. So please let us know in advance if you would like to be removed from our waitlist ahead of time to prevent delays. Please notify us as soon as possible if you need to cancel your entry for any reason. Refunds will be given in the following amounts: 50% of total fees paid if your space is not occupied by a wait listed entrant. If your space is taken by a wait listed entrant and the camp runs at full capacity you will receive a 100% refund of all fees paid. All refunds will be paid via the method of payment received and will be sent out promptly after the camp session has ended. I reserve the right to cancel the camp if there are not at least 5 participants signed up by the registration deadline. In this case, a full refund of all fees paid will be refunded as soon as this decision is made. Please help us avoid this scenario by urging your running friends to join us at camp. Also, in the unlikely case of the camp being cancelled due to circumstances out of my control (natural disaster, etc) all fees will be refunded. 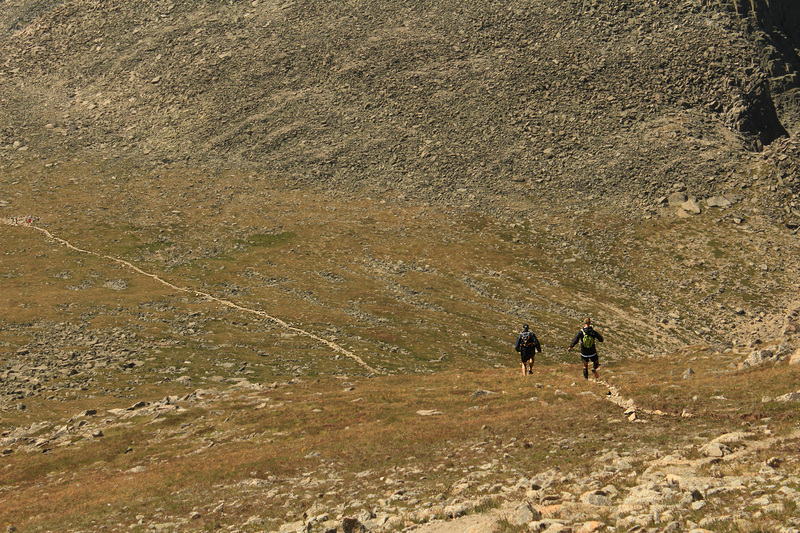 There will be a total of 6 guided mountain / trail runs during camp. These runs will be led by local, passionate, and experienced mountain runners. All runs will take place between 8,000 – 13,000 feet altitude, cover a distance between 3 to 12 miles, and last 1 to 4 hours in duration. You will have the option of running less distance on all runs, and the option to run longer on some of the runs. 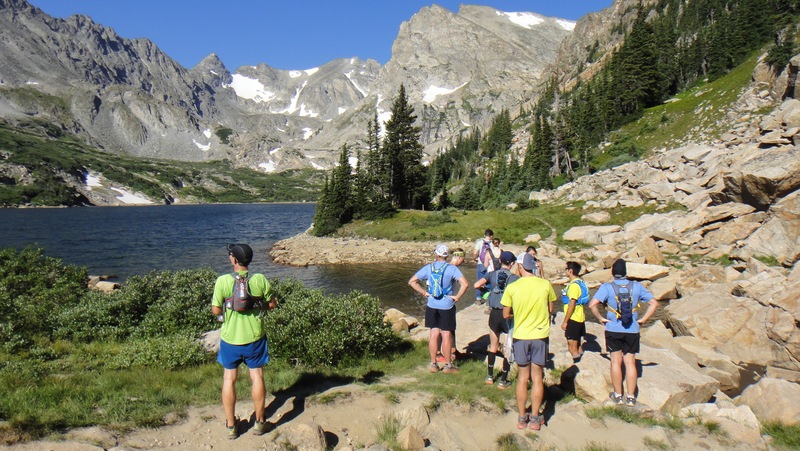 Click on our ‘Run Leaders’ page to learn more about the people leading our mountain runs. 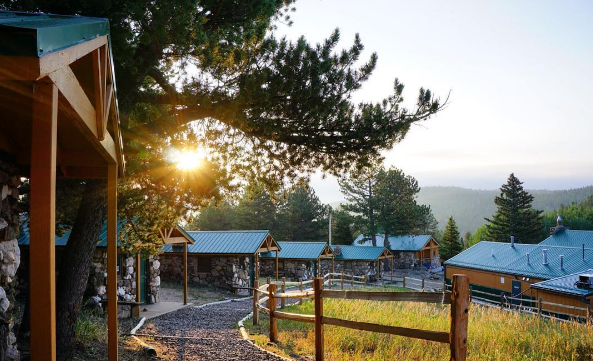 We will be staying at Camp Tahosa, which is owned and operated by the Boy Scouts of America Denver Area Council. This beautiful property sits on over 300 private acres in the mountains West of Boulder, Colorado. Camp Tahosa will have plenty of space for all of us, but it will be shared sleeping quarters. However, each participant will have their own twin bed. We have reserved two Lakeside Cabins, which sleep up to 6 people each. Gender separate bathrooms with hot water showers are available on site. Canoeing and fishing opportunities will also be available to the group. Bring your own fishing gear if you want to catch some Colorado Trout! Our aim is that everyone eats healthy and delicious food during camp. All meals will be provided and prepared using natural, largely unprocessed, often local, and organic (when available) ingredients. Breakfast and dinner will be hot meals, and lunch will be a large spread of sandwiches and salad. Hearty and nutritious dinners will be provided by RAD: Real Athlete Diets! We will make a reasonable effort to accommodate any dietary preferences. Please let us know of any dietary restrictions you may have when you register. All transportation during the camp will be provided by the camp. We will be renting large van to transport you from Boulder, Colorado to Camp Tahosa and to the trails for our organized activities. If you prefer to bring your own car, or plan to rent one that is fine. There are plenty of options to rent a car at the Denver Airport or in Boulder, but you must make those arrangements. For information about transportation from the Denver Airport to Camp Tahosa and from the Camp back to the airport, please see the “Travel To and From Boulder” section below. Participants will be required to book and pay for their own travel to and from Boulder, Colorado. If you are flying to camp, the closest commercial airport is Denver International Airport (DIA). From the airport, the RTD – Route AB: Boulder/DIA shuttle bus from Denver International Airport to the Downtown Boulder Station is your cheapest travel option ($9 ticket one-way) and takes about one hour. This bus leaves from the DIA Bus Terminal Gate 8 (below the Westin Hotel) every hour. If you need assistance, go to the RTD counter inside the main terminal. We will pick-up participants from the Downtown Boulder Station at 3:00pm on the first day of camp. We will make two quick stops before heading up to Camp in the mountains: Boulder Running Company and Whole Foods, so everyone can pick-up any last minute items. If you will be arriving in Boulder after this time, you may need to arrange your own transportation to the camp. However, we may be able to make a second trip to town after the above mentioned stops. This will all be dependent on your arrival time. For those arriving earlier in the day, you will need to wait until the 3:00pm ride. That said though, downtown Boulder is a great place to spend part of your day. From the Bus Station, you are within a 5-minute walk to the Pearl Street Mall, which is home to a variety of shops and restaurants, and the Boulder Creek Path, which follows the Boulder Creek up Boulder Canyon for 3-miles if you are interested in starting your weekend of training early. On the last day of camp we will shuttle participants from the Camp to the Downtown Boulder Station at 3:00 pm. If you plan on flying out that day, book your flight no earlier than 7:00pm, so we can ensure you arrive at the airport in time. We will make one stop at the Downtown Boulder Station. However, buses depart from the Station to the airport every hour if you would rather spend some more time in town. Also, I highly recommend spending some extra time in Boulder (or elsewhere in Colorado) either before or after the camp. If you are doing this we will make every effort to help get you to and from where you want to be dropped off other than the Bus Station. The climate in this high-altitude mountain environment can change quickly. Please come prepared for a variety of weather conditions. Temperatures may range from 40 to 80 degrees fahrenheit. 2 pairs of running shoes. Just in case one pair gets wet, and is not dry the next day. Bottles or hydration bladder: I recommend at least a 2-liter bladder. Remember you need to drink more at altitude! 6 changes of running clothes (top, bottom, underwear, socks, cap). Lightweight running jacket (the smallest, lightest one you have) to block wind and light rain. Preferred run nutrition. We will have a selection of bars and gels for participants to use during the camp, but if you have specific items you prefer to use, you might want to bring some with you. If your preference is for solid food, we will have plenty of food available for you to make a sandwich or snack for the trail. A change or two of casual clothing suitable for temps between 60-90 degrees to wear around town. Reading material. There will be some down time in the afternoons, and it might be nice to have a book or magazine if you’re into that kind of thing. Earplugs if you are a light sleeper. We will not be the only group lodging at Camp Tahosa.